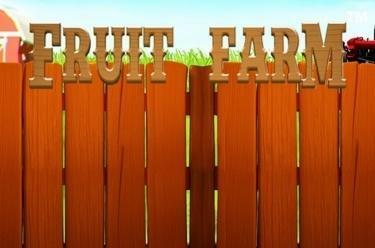 Play Fruit Farm™ online for free now! Breathe in the fresh country air and enjoy a rich harvest with Fruit Farm™! The Cow, Sheep, Pig and Chicken will do good things for you, tasty berries don't just tickle your palate but also your player account. The tractor will collect huge winnings with a rich harvest of Free Spins and then with the dedicated farmer who rewards winning combinations coming into play, nothing will stand in your way! 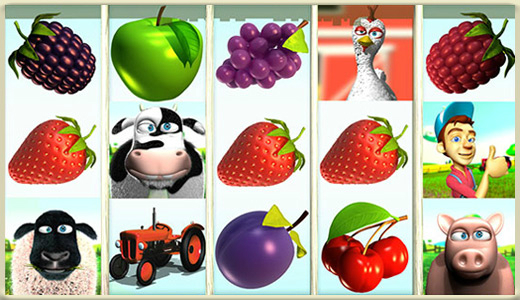 5 reels and up to 10 win lines are the basis for huge winnings with Fruit Farm™. If possible land 5 matching symbols along an active win line to win big time! Every winning pattern begins on the first reel to the left and runs along a win line to the right. The matching symbols in a winning combination must lie side by side without any other symbols between them. Scatter symbols pay out if they appear twice regardless of the line profile. 3 or more tractors win you a rich harvest of 15 Free Games. Free Games automatically use the bet of your last regular game - Free Games wins pay out triple. 3 or more tractors during the current Free Game win 15 additional Free Spins.